Create a custom drying rack that meets your needs with this ingenious system. The interlocking rack can be mounted to the wall. Two units can be attached back-to-back as a table rack. 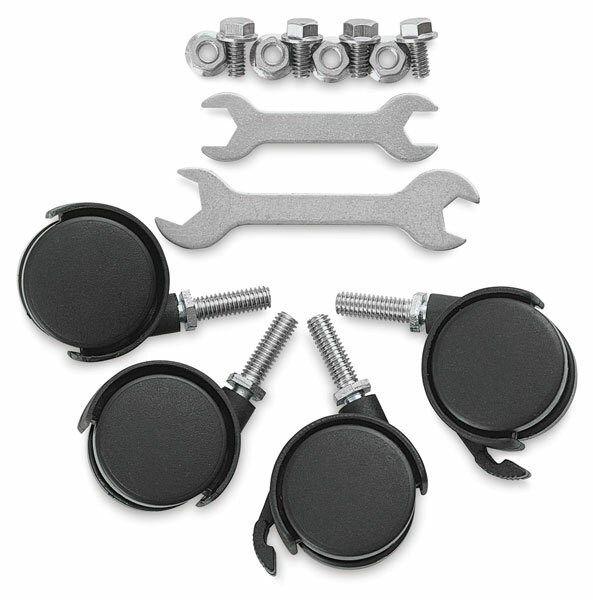 This kit contains four 3" black plastic casters — two locking casters and two non-locking casters.